Address: 674250 Chitinskaya obl., r/c s. Kyra, Cherkasova St., 1. 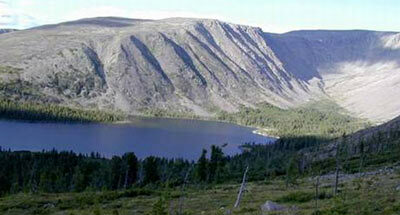 Zapovednik Sokhondinsky, in the south of Chitinskaya Region, was founded in 1973. Its area is 211,0 thousand ha. It is situated in Southern Zabaikalye on Khatey-Chikoyskoye Highland; it includes the isolated Sokhondo massif (2508 m above the sea level), where the rivers of the Amur basin begin. Height belts in the plant cover are clearly distinguished. As far as a height of 1200 m uneven forest steppe rises, where larch and birch forests are interspersed with areas of open steppe. Then to 1900 m are other forests: in the bottom part of the belt light coniferous taiga with grass larch forests predominating, and in the upper part dark coniferous taiga formed of cedar (Siberian pine), spruce and fir. In some places there are pure cedar forests. 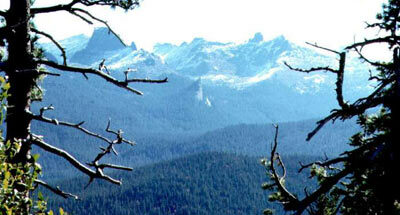 In the height range of 1900-2100 m is the belt of cedar-larch light forest with undergrowth of ledum, Dahurian rhododendron, low juniper and thickets of elfin cedar. In wet places alder and ground birch grow. 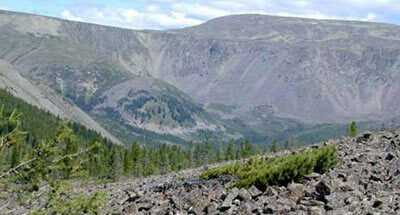 Above this the belt of forbs and lichen tundras is located, with some high-mountain bogs and tall-grass glades. Flora constitutes more than 600 vascular plant species; there are rare species such as, yellow lady's slipper, Cypripedium macranthon, and Iris tigridia. There is a high diversity of vertebrate animals (mammals make up more than 60 species, birds more than 200), and taiga species (chipmunk, squirrel, roebuck, musk deer, elk, sable, brown bear) and steppe species (long-tailed Siberian souslik, Marmota sibirica and Mustela eversmanni) in particular are both present. Of rare animal species there are noted Erinaceus dauricus, Pallas' cat, golden eagle, peregrine falcon, and hooded crane. In wetlands there live: lenok, grayling, taimen, minnow.